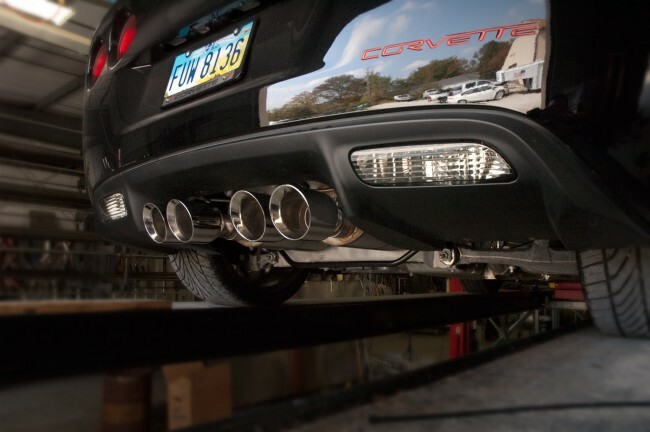 When only the very best exhaust system will do for your C6 base or Grand Sport model Corvette, it has to be this C6 Corvette Base / Grand Sport 2009-2013 Stainless Works 2.5-inch Axle Back Exhaust. Each Stainless Works Corvette system is made by skilled Craftsman, using the latest high-tech equipment and technology. Each Corvette system is made of 304 stainless steel and precision manufactured to the highest standard, ensuring years of great looks and killer performance. 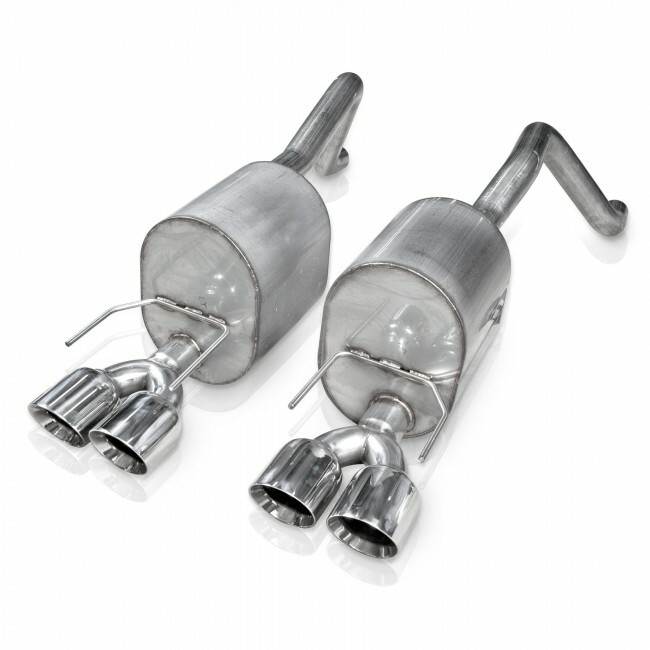 This Corvette axle back 2-1/2-inch exhaust system is CNC mandrel-bent with dual chambered turbo mufflers and quad 4-inch slash cut conical double wall polished tips. System includes all clamps and hangers and mates to your Corvette's factory slip joint in front of the rear axle. Saves 20 pounds over stock muffler system. 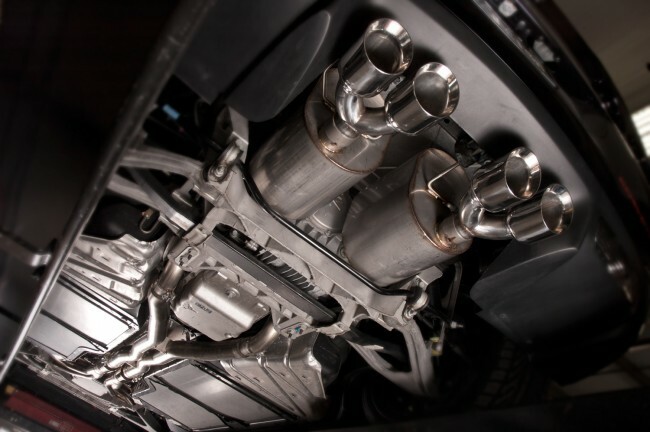 Find out why Stainless Works Corvette exhaust systems have been used by the only Corvette to win the One Lap of America. Q: Is this louder than factory or add performance?